Unsightly facial & leg veins are now a thing of the past for men and women! The Excel V is the perfect solution not only for spider veins and leg veins, but also rosacea, port wine stains, surgical scars and cherry angiomas. Laser vascular treatments rely on the principle of Selective Photothermolysis the selective destruction of targeted tissue with the correct choice of wavelength, pulse width, and fluence. While the principle is well-developed, the challenge has always been to build a laser system that delivers the combination of parameters required for successful treatments across the broad range of vascular conditions. Until now! The perfect treatment for Rosacea, facial redness and capillaries. 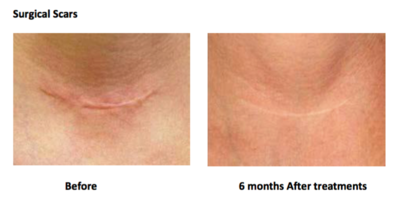 Darlinghurst Dermatology Skin & Laser Clinic employs the lastest Excel V Vascular Laser to offer a safe and effective solution for a number of conditions. This is breakthrough technology for the treatment of all things vascular especially rosacea, facial redness and facial capillaries. It also can be used on birth marks and leg veins, as well as, surgical scars and sundamage on the face, chest and neck. In the hands of Darlinghurst Dermatology Skin & Laser Clinic's skilled practitioners the Excel V laser provides the ideal treatment for both mild and severe forms of these conditions. 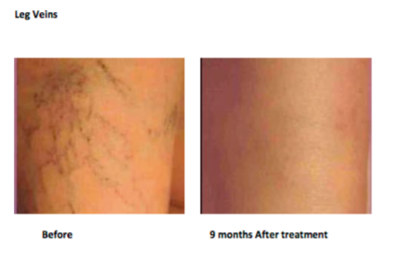 Excel V works by administering a unique high power green laser that is absorbed by the abnormal blood vessels in the skin. The laser heats the abnormal vessels causing the vein walls to collapse and seal shut. Over time, the vessels will no longer be visible. Several treatments may be necessary to achieve the desired result. Unlike other procedures, injections or topical anesthesia are not required during the 15 - 30 minute treatment. We offer anaesthetic cream though to all patients as a part of the service at Darlinghurst Dermatology Skin & Laser Clinic. To minimise discomfort and protect the patient's skin, the Excel V uses a proprietaary cooling system. Most patients experience a mild stinging sensation as the pulses of energy are delivered through the handpiece. Following the procedure the pain is minimal to non-existent. The Excel V is a highly effective machine that usually requires fewer treatments to achieve results. The possible side effects are few, although some patients may experience a slight reddening or local swelling of the skin. Some patients may experience bruising and in rare cases some blistering may occur. Most patients find that the majority of treated veins show significant improvement within 2 to 6 weeks, however your final result may not be apparent for several months. The number of treatments depend on the size, thickness and colour of the vascular lesion. Superficial lesions are usually easiest to treat and some patients experience a significant improvement after just one treatment. With other patients two or more treatments may be needed to achieve the desired results.